We create ideas for web page layouts, photographs and areas for text based on discussions with you. We work on the basis that the starting point to any website consists of five pages, home, about us, products/services, gallery and contact page. These pages will form the basis for your site to develop and it also depends on the site what it does and how it does it as to how it needs to be developed so from a general point of view. The format for visual purposes, a home page to present your business and what it does, about us describes the business objectives and the team of people involved in making the business function, products/services describe what is available in detail, gallery is where a synopsis of past products/service experience is presented and finally contact us shows all the methods of communication available including a contact form. Developing a site is important to ensure everything your business has to offer is made available to potential buyers. It is also important that products or services are easy to understand and access. Creating a connection with social media is also important and forms a valuable part of most business practises. There are times when meticulous detailing of products or services can appear to be just repetitive and non productive and this couldn’t be more wrong. There is nothing worse than looking for a product online that shows some specifications and like me assuming this is standard only to discover the product arrives from another country where there products specification is different, So getting all of the detailing correct works well for products as there are less returns and for services no wasted telephone calls from people misunderstanding services offered. We believe that in the future shops without an online presence will not survive the future of electronic shopping. If you look at some of the companies currently online only and being very successful they are getting bigger and bigger (as at 2017) and more competitors are arriving and making a presence online. It is possible to buy many products from all over the world and have them delivered within a reasonable period of time. Although this is very general it is the point that is important. The shopping isle has gained ground and got very very long, the available shops have increased 100 fold and more. The high street shops near where you live has grown and you don’t need to leave your house. As much as you might be a business owner you are also a consumer so can appreciate being a consumer and how much information you want well thats how much information your business needs to provide for your website. Progressing development comes with establishment. Currently according to the Internet 2017 the search engine statistics showed that in August 2016 Google has 80% of the search market, Bing 10%, Yahoo 8%, AOL less than 1% and various others in smaller amounts. So search engine demand also means your site needs to become established with the various search engines across the Internet to become a competitor in your business market. The term SEO means search engine optimised so when your website goes live search engine BOTs ( short for Robot) will navigate your page content and images and determine where the pages should be indexed on there servers. But how will they no your site exists? Because your site is registered with Google, Bing, Yahoo to make them aware, because the website pages have been optimised to inform the search engines of the relevance of each page. The BOT will know that the business has a page heading using a H1 tag, that a title exists, that the text content is written in a friendly informative way, there are also other Hx tags, there is a meta description and some image(s) describing the business. 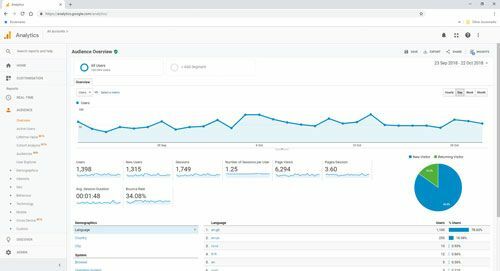 Then as time progresses Google, Bing, Yahoo Analytics will show visitors to the web pages and what activities took place while on each page looked at and this will allow you as the business manager/owner to gauge if the page works for the visitors. There is a huge amount of statistical information available to assist in the development of a website. In fact the whole world will want to help you get to the front page of Google and this maybe good news or not as there needs to be a strategy for when to get to the front page of any search results. If you sell widgets and you are on the first page for searches for anyone looking for widgets that’s great news. It is not always as easy as it looks. They say if it looks to good to be true then it probably isn’t. Our view is a starting point aimed at organic growth by making sure the website is optimised for visitors and search engines then whatever you decide to add the organic growth will continue to develop in the background. Any form of online advertising can benefit sales until it stops then the sales start to dwindle so its important to have a strategy that will enable the site to continue to grow with advertising as a top up. Advertising can also be from social media as well as search engines and many other places.